Nikon Inc. and Warner Music Group will partner with Music Unites—a non- profit organization that provides music education to students in under- served school districts—for a very special event to be held later this week at their upcoming residency at South by Southwest® Music & Media Conference (SXSW®) in Austin, Texas. “The Warner Sound Captured by Nikon” will present two days and three nights of stellar showcase performances at Austin’s famed La Zona Rosa, slated for March 13th through 15th. 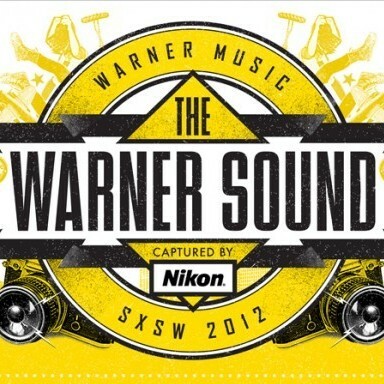 Music Unites will be giving five deserving students from Austin’s Lanier High School the opportunity to attend “The Warner Sound Captured by Nikon” on Wednesday, March 14th, where they will meet Warner Bros. recording artist – and Music Unites ambassador – Gary Clark Jr. The students will each receive Nikon cameras and participate in a workshop with renowned rock photographer Robert Knight before getting an exclusive chance to photograph Clark and other live performances from “The Warner Sound Captured by Nikon.” Lanier High School, an inner-city school in the heart of Austin, is home to over 1500 students. The five students chosen to attend “The Warner Sound Captured by Nikon” were selected based on their passion for music and photography.